316L stainless steel sheet 2B finish has a mill finish, which is smooth and NOT the brushed finish commonly seen on kitchen appliances. Our 316L stainless steel sheet 2B finish will not have a protective film to prevent scratching, so the 316L stainless steel will commonly have scratching (not gouging) from when it is cut to size, fabricated, shipped, etc. If a scratch free surface is needed, please contact Stainless Supply to inquire about having a PVC film applied to the 316L stainless steel sheet 2B finish. If you need any fabrication (grain preference, hemming, rounded corners), you must select the "cut to your size" option. The maximum thickness of 316L stainless steel sheet metal that we can hem is 22 gauge. If you need a bending option, please see our Angle/Channel section. 316L stainless steel sheet metal, also called marine grade stainless steel, is used primarily for its increased resistance to corrosion. The "L" means that the carbon content of the alloy is below 0.03% which makes the 316L stainless steel sheet preferable for welding. Uses for 316L stainless steel sheet 2B finish include high end cookware, cutlery, marine applications and hydrogen fuel cells. 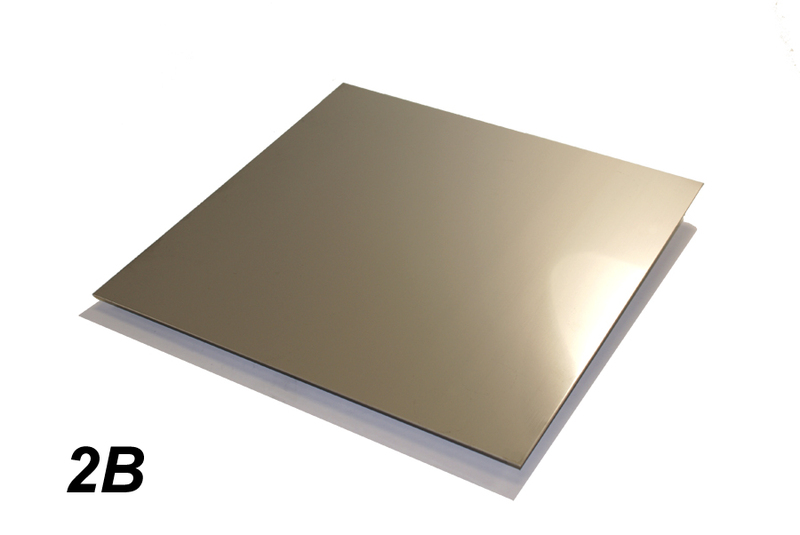 316L stainless steel sheet 2B finish is austenitic, meaning it will not attract or hold a magnet. If you need that option in stainless steel, the 430 grade will hold a magnet.